Identification A real mess of an l-number! 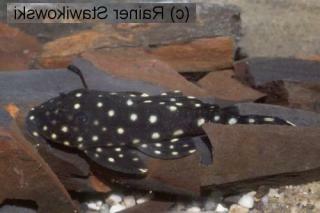 The original photo showed a fish that was like Lasiancistrus but a shorter head profile made this fish look, perhaps, more like baryancistrus. We've labelled the fish as ancistini until more specimens are imported and the issue can be clarified. Distribution According to the DATZ loricariid special edition 2, the origin of this fish is the Rio Para.